Jean McCart took her last flight on November 25, 2011, surrounded by her family. Jean was born in Oakland, California on March 20, 1921. During World War II, a select group of young women pilots became pioneers, heroes, and role models...They were the Women Airforce Service Pilots, WASP, the first women in history trained to fly American military aircraft. Jean was a proud member of that elite group. She recently remarked that “being a WASP impacted my life in many ways…(it) gave me a lot of confidence in myself and provided me with wonderful, lifelong friends”. 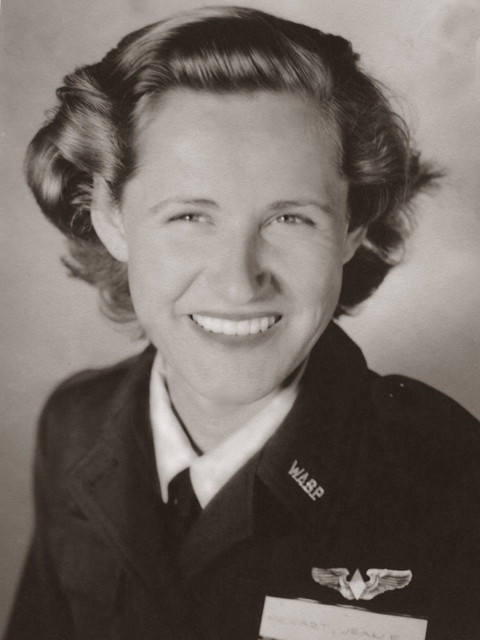 On November 23, 1977 a Congressional Bill gave the WASP veteran status and in March, 2010, Jean and her fellow WASP were honored with the Congressional Gold Medal. This honor was very meaningful to Jean and to her family. After her retirement from the military, she became a flight instructor, focusing on flight aerobatics. Her special maneuver was a double snaproll, and she took great delight in showing her students what she was capable of doing! Jean was an accomplished business woman and owned the Beverly-Cross Personnel Service, a multiple office temporary personnel service in Southern California which she sold in 1989. Jean loved to fly fish and lived part time in Montana. During the summer months, you could find her fishing in nearby rivers. Her favorite spot was the Three Dollar Bridge on the Madison and beyond. Jean was much loved and will be truly missed by her sisters Joan Flatley of Channel Islands, Heidi Helbig of Mammoth Lakes, Elizabeth Rice Grossman of Thousand Oaks, and nephew Michael Niemeyer of Seal Beach. At the time of her death, Jean resided in Hollywood Beach in Ventura County. Jean had a wonderful, productive life, enjoyed many friends, and impacted the lives of countless people. A great lady. Fly with the angels Jean. You will be missed by all who had the privilege of knowing you.